History: 65 year old male with a history of chronic lymphocytic leukemia presents with left sided chest pain, shortness of breath, and hypoxia after a CT-guided biopsy of a left lung mass. 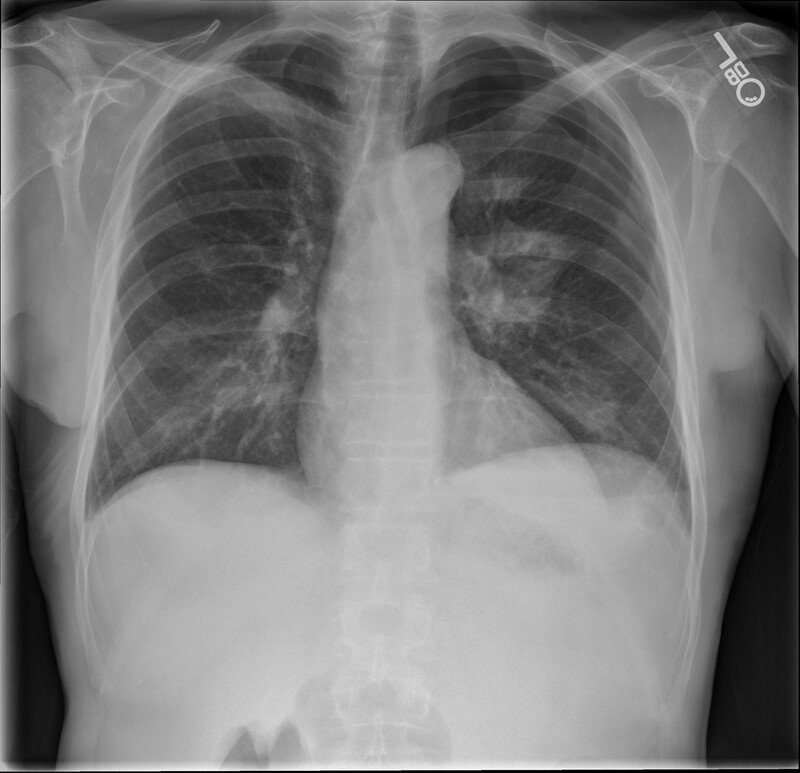 Pneumothorax: Single frontal upright chest radiograph demonstrating a moderate sized left pneumothorax at the left lung apex. A left hilar cavitating ground glass opacity and an additional anterior left upper lobe ground glass opacity are seen. This is an iatrogenic pneumothorax in a patient status post lung biopsy. This patient had a cavitary lung mass.